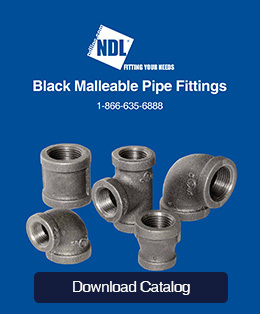 At NDL we offer an extensive selection of black malleable iron fittings. Available in 13 diameters from 1/8” to 4”, every fitting produced is set to meet or exceed all specifications. In addition, all of our fittings undergo rigours testing and quality inspections.